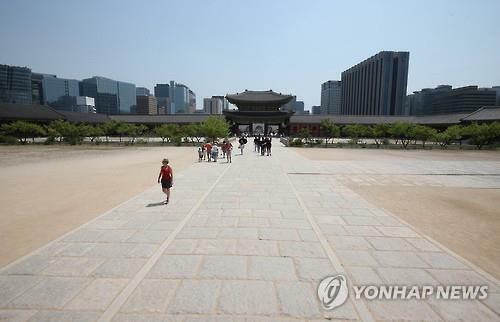 Seoul, July 9 (Korea Bizwire) – Visitors numbers at ancient cultural sites have decreased due to Middle Eastern Respiratory Syndrome (MERS). According to statistics published by the Cultural Heritage Administration, the number of people who visited cultural sites in June was about 4.1 million, a 51.2% decrease compared to the same period last year. This is the lowest number of visitors since January 2013, and a 72.5% decrease compared to the previous month. The decline in the number of foreigner visitors was particularly drastic, plummeting to 62,000. This is the first time since 2011 that the number of visitors was below 100,000. It is seen as a secondary effect of the sharp decrease in tourists visiting Korea because of MERS. The Cultural Heritage Administration stated that over the course of the year, visitors tend to increase from January to May before dropping in June, but this sort of decline was unprecedented. However, the tables have started to turn as the Cultural Heritage Administration opened the four major palaces, Jongmyo, and the Royal Tombs of the Joseon Dynasty for free this month. Visitor numbers have started to increase slightly. Nonetheless, the visitors were mainly locals, and the number of foreign visitors dropped 69.1 percent compared to last year.